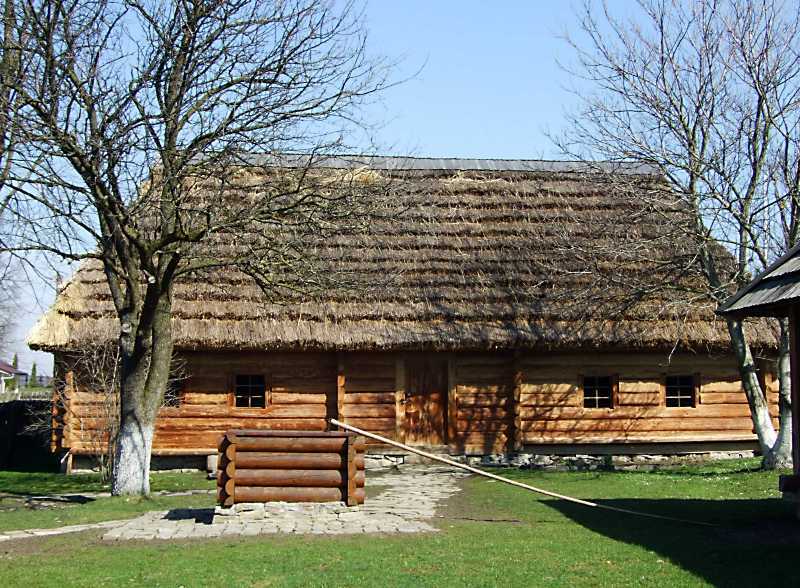 Estate of Jakov (James) Franko – father of Ivan Franko – in the village Naguevychi (now Drogobych district, Lviv region). The future writer was born in the manor and always lived here until 1864, when he began to study at the school in Drogobych. Later, he was often visited in Naguevychi and long lived here, but never officially owned the estate. Manor consisted of dwelling (pictured), barn, storehouse, forgery, well, garden and apiary. Please be aware that this mansion was burned by lightning in October 1886. I. Franko helped family to rebuild it. Later the estate was repeatedly reconstructed. In 1981 the estate was rebuilt according to the description that Ivan Franko wrote in 1914. This reconstruction see visitors of writer's museum in Naguevychi. More about this mansion – at the site "".